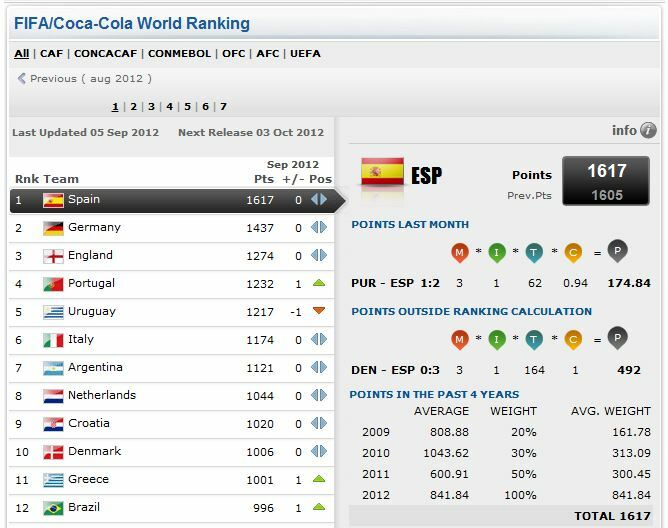 Latest FIFA Ranking 5th September 2012 – footsteps……..
FIFA released the latest world ranking on 5th September 2012. 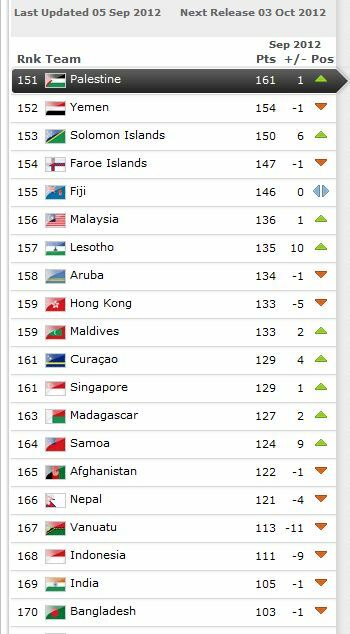 Malaysia moved up one position to 156 with 136 points. Spain, Germany and England remain as the top three and unchanged from the previous standings. Among AFC nations, Malaysia ranked 25th, 4th among South East Asian nations Malaysia is above Singapore (28th), Indonesia (31st), Myanmar (38th), Cambodia (40th), Laos (41st), Brunei (44th ) and Timor Leste (45th). 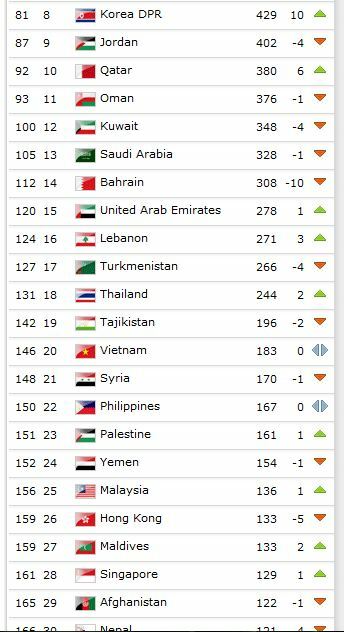 Thailand lead the rank at 18th position and followed by Vietnam (20th). Philippines ranked 22nd.